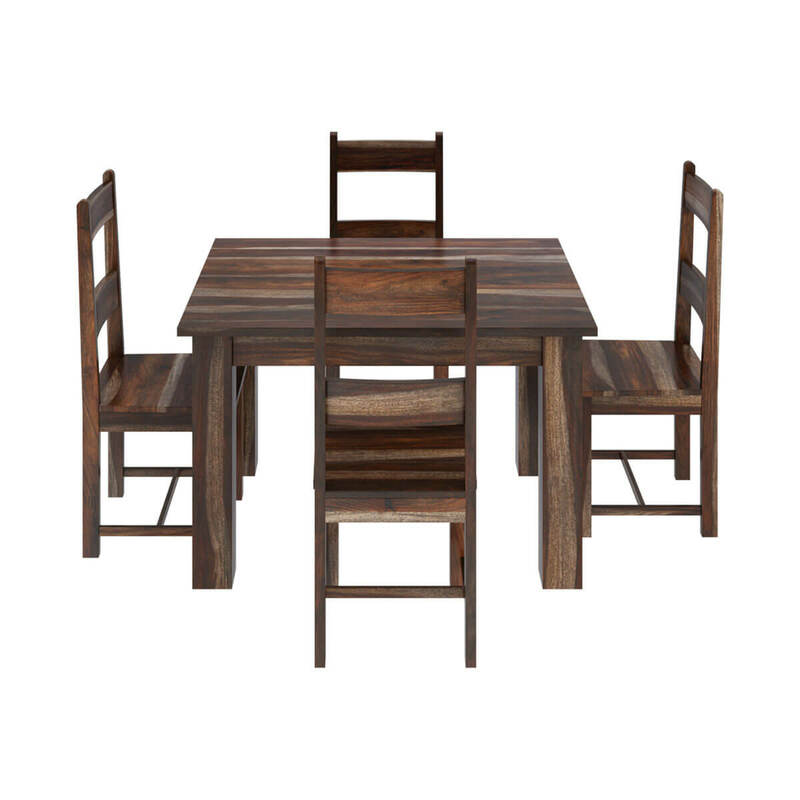 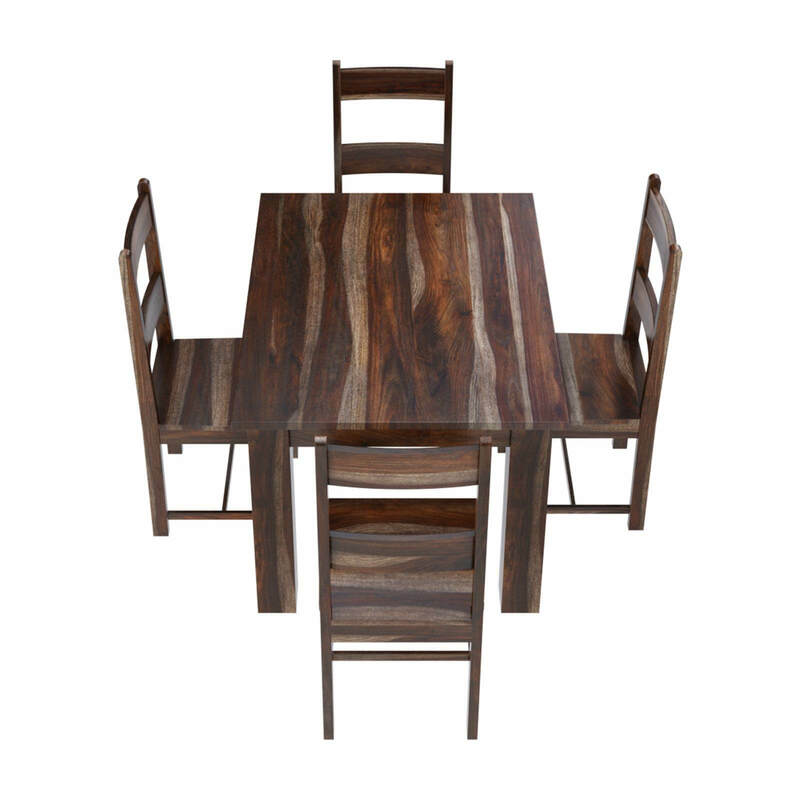 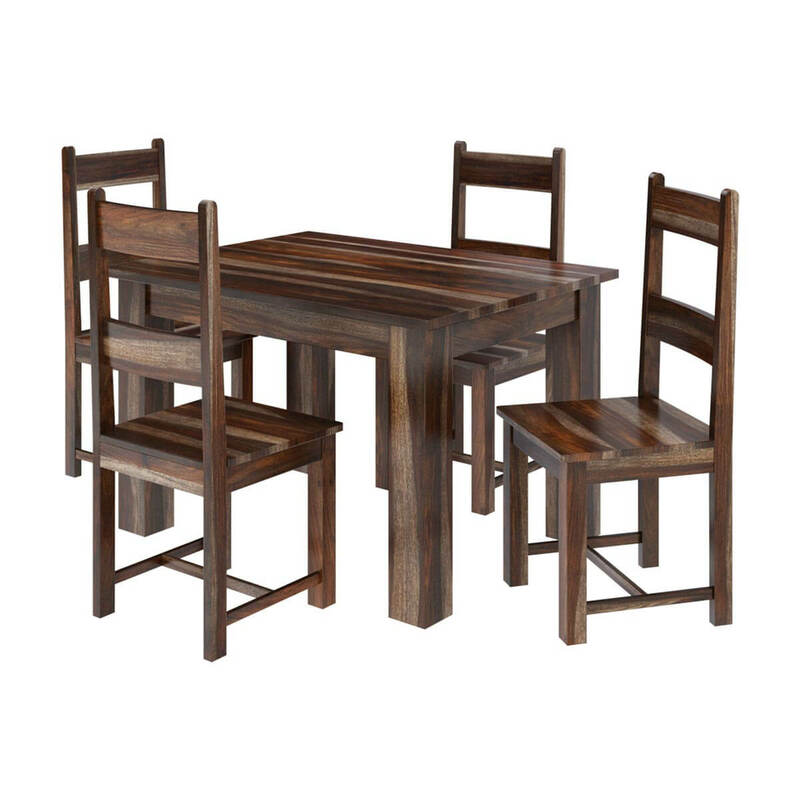 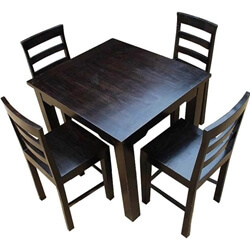 Our Alabama Modern Rustic Solid Wood Dining Set is built by hand from beautiful hard wood. 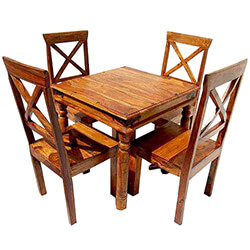 Many artisans claim as their favorite wood to fashion furniture. 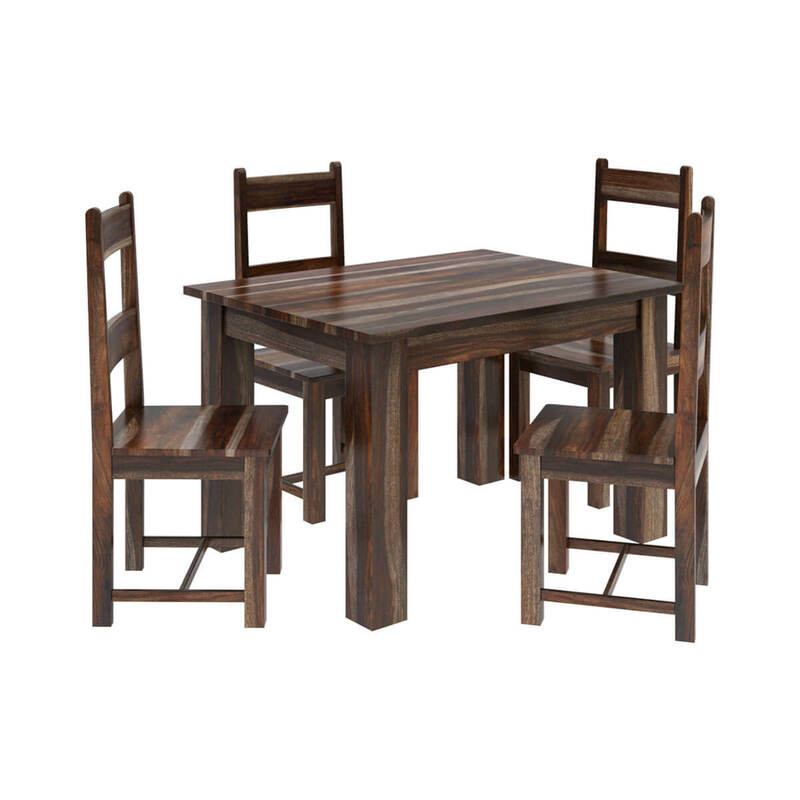 With it's beautiful grain this wood is simply one of the most durable in the industry. 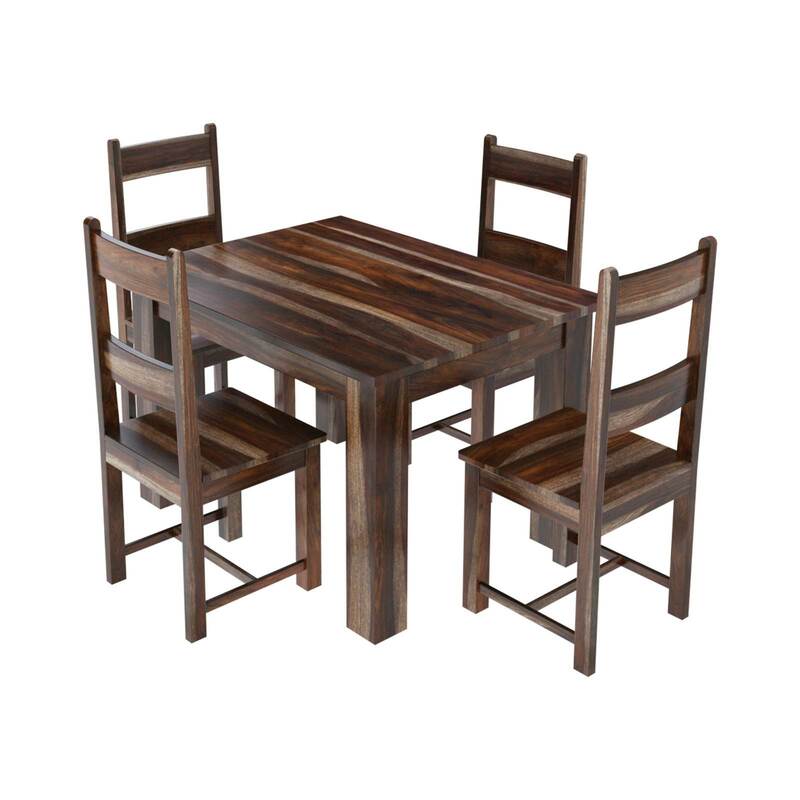 Grown from sustainable crops, this rosewood varietal is also environmentally sound. 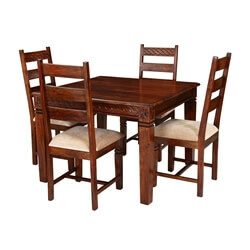 Bring the spirit of old California Missions to your home with one of our most popular dining sets. 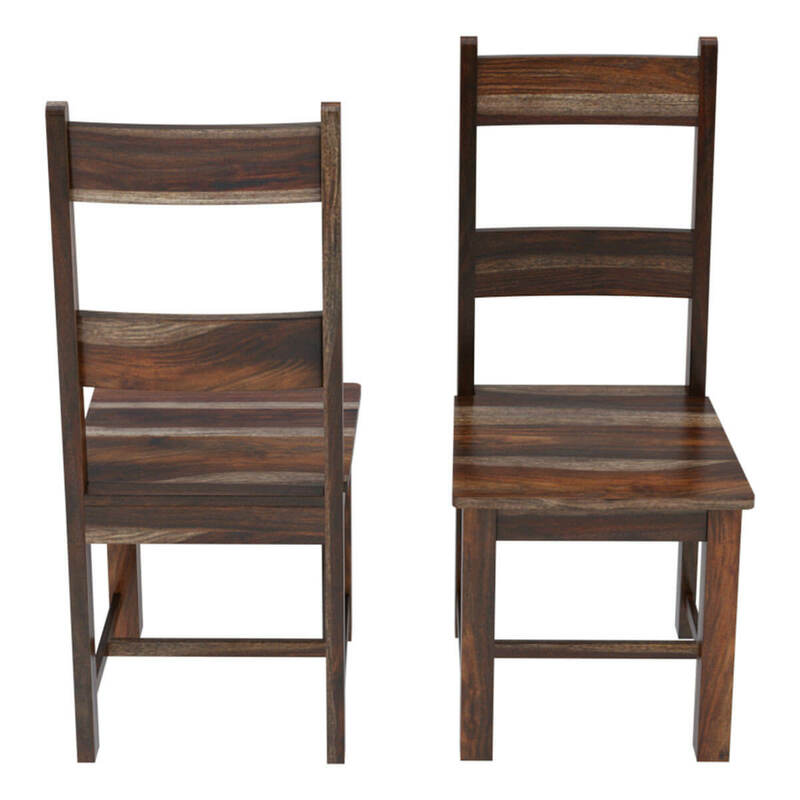 The chairs are designed with a high ladder back and wide seat and H-shaped stretchers for added support. 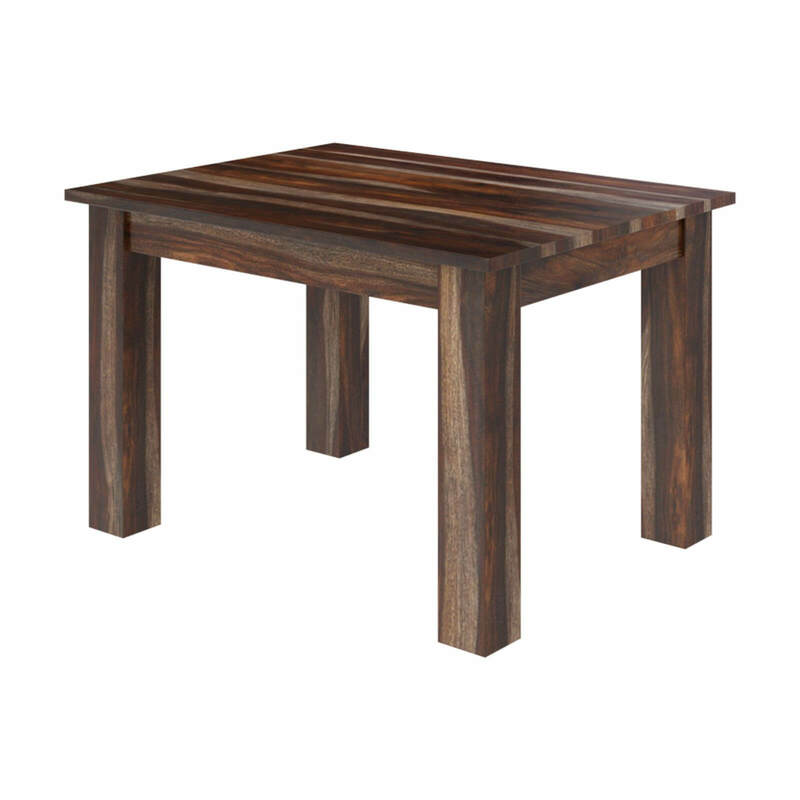 The table features an unframed plank board top and square legs. 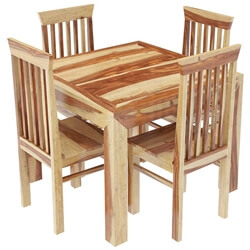 Choose your own stain at no extra cost and follow the progress of your set being constructed through our on line portal link system.